Shamardal and Lope De Vega etched themselves into the annals of racing history when the father and son each completed the Poule d'Essai des Poulains and Prix du Jockey Club double at Longchamp - the former in 2005 and the latter in 2010. On Sunday, the Lope De Vega colt South Seas has the chance to emulate his sire and grandsire by winning the first leg of that elusive Classic double, which has only been completed twice - by that same pair - since the turn of the millennium. South Seas is one of 15 entries left in at the four-day declaration stage, with both the Poulains and the Pouliches taking place in Deauville for the second consecutive year while the racecourse at Longchamp undergoes renovations. Bred by Stonepark Farms, South Seas is out of the Mizzen Mast mare Let It Be Me, a half-sister to dual Listed winner Zaidan, who was also second in the Group 1 International Cup at Kranji in Singapore. South Seas - purchased by David Redvers from Yeomanstown Stud for 145,000gns at Book 1 of the Tattersalls October Yearling Sale in 2015 - has shown classy form for trainer Andrew Balding and owner Qatar Racing, winning the Group 3 Solario Stakes at Sandown and finishing second to Thunder Snow in the Criterium International at Saint-Cloud at two. The colt could muster only fifth place in a Newcastle conditions stakes on his return at three, but interestingly holds entries for both the St James's Palace Stakes and the Commonwealth Cup at Royal Ascot. When Brametot missed the break in the Group 3 Prix de Fontainebleau at Chantilly in April, the Rajsaman colt looked to have all but blown his chance. However, he gradually closed on the rest of the field and took the lead just inside the final furlong, running out a comfortable winner of the key Poulains trial. That result took on an extra significance, as Brametot was following in the footsteps of his sire, grandsire Linamix and great-grandsire Mendez to win the mile contest. Brametot can also add to the impressive record of his sire line in the Poulains. While Rajsaman was a well-beaten tenth to Lope De Vega in the 2010 running, Linamix was successful two decades earlier in the 1990 renewal, with Mendez third in the 1984 edition. Brametot is out of the Law Society mare Morning Light, who in turn is out of a winning half-sister to Monsun. He was bought by Haras de la Cauviniere's Sylvain Vidal for €26,000 as a foal at the 2014 Arqana December Breeding Stock Sale. While Frankel will not be represented in the Poulains, he does have a possible runner for the Pouliches, and she appears to have a fair chance of giving her sire a first Classic winner. Toulifaut has already got off the mark in stakes company, by winning the Group 3 Prix d'Aumale at Chantilly last month, and is one of eight Group winners for Frankel to date. The filly also holds an entry for the Coronation Stakes at Royal Ascot. Toulifaut, who topped the 2015 Arqana Arc Sale when selling for €1.9 million to Narvick International, is a three-parts sister to three-time Group 3 winner Ernest Hemingway, out of the Nassau Stakes runner-up Cassydora. On her return at three, Toulifaut finished fourth to Senga in the Prix de la Grotte, and she remains among the 20 left in at the four-day declaration stage for the Pouliches. When Redoute's Choice shuttled to Haras de Bonneval in France for two seasons in 2013 and 2014, he gave European breeders access to an Australian sprinter/miler who had proven a smash hit at stud. His first European crop is now three, and Redoute's Choice could launch a three-pronged attack on the French Classics this year, with Spotify in the Poulains, and Smoulder and Wajnah in the Pouliches. A Wertheimer et Frere homebred, Spotify looked to be making rapid strides when a comfortable winner of a conditions stakes on the Polytrack at Chantilly in March, but could finish only third of Brametot in the Fontainebleau. 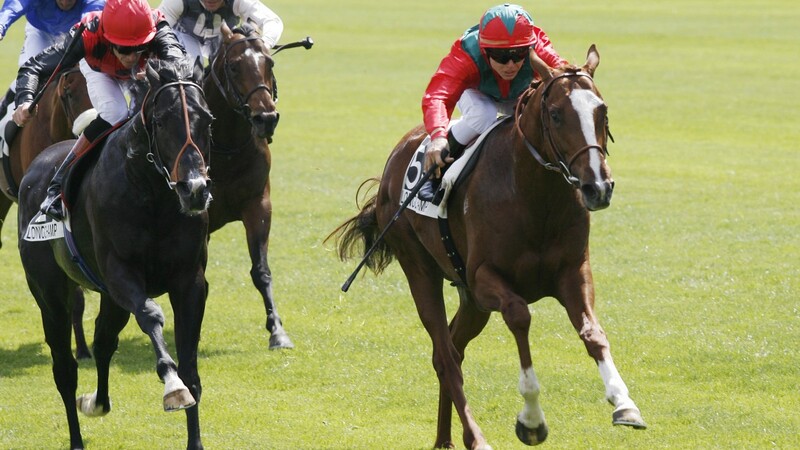 He is out of the Group 3-winning Gwenseb, whose sire Green Tune won the 1994 running of the Poulains. Gwenseb has also produced the dual Group 2 winner Impassable and dual Group 3 scorer Attendu. Wajnah, who is also entered for the Coronation Stakes, is two from two for trainer Francois Rohaut and could become the third black-type scorer for her dam Benzolina after the 1m1f Listed winner Baine, who was second behind 1,000 Guineas winner Special Duty in the 2010 Pouliches, and the Listed winner Bassamba, both of whom were also trained by Rohaut. Wajnah was a €260,000 purchase by Mandore International Agency for Al Shaqab Racing at the 2015 Arqana October Yearling Sale. Smoulder is declared for Dundalk on Wednesday and may be unlikely to run at Deauville. The filly has been slow to get going, finishing a close third in a Limerick maiden in April, but has yet to be really tested. She and Poulains entrant Taj Mahal are siblings to the 2015 Newmarket Classic winners Legatissimo and Gleneagles respectively.